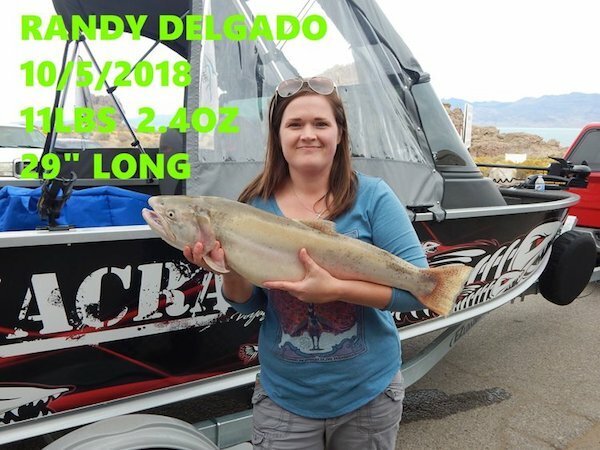 NICE CATCH RANDY! 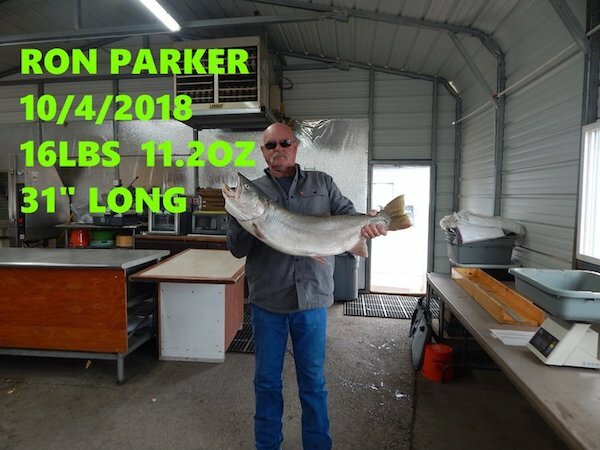 11lb 2.4oz Cutthroat measured in at 29" long. The staff from Crosby Lodge checked in today with an update from Pyramid Lake in Sutcliffe, NV. 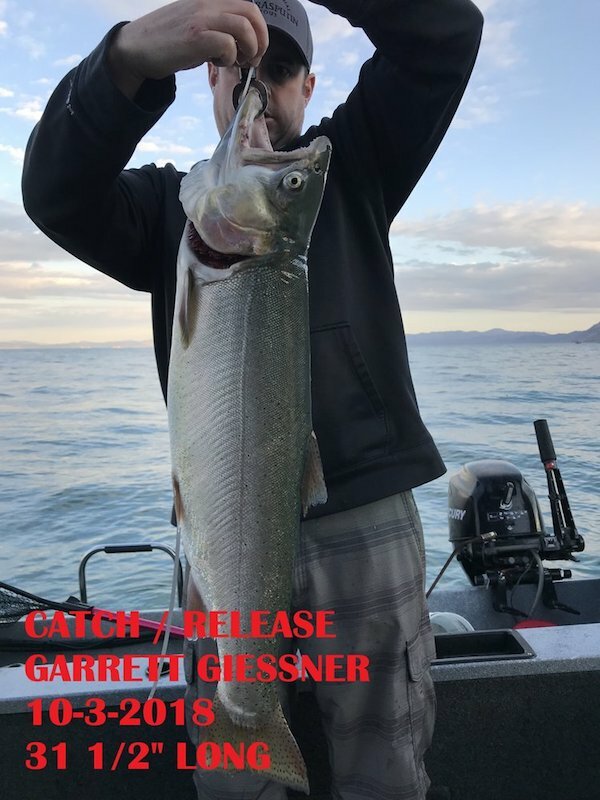 Check out the four photos taken at Pyramid Lake on October 5, 2018. 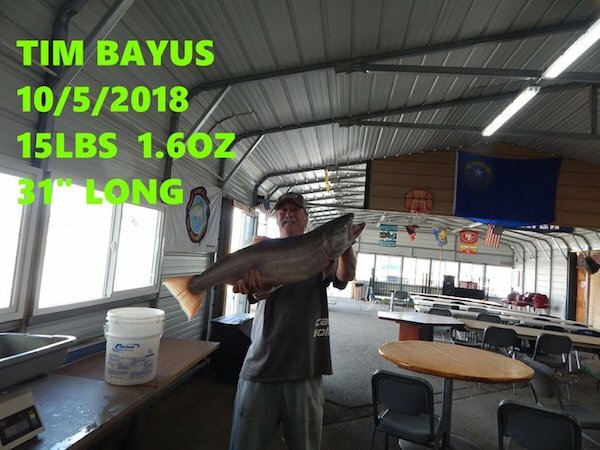 Tim Bayus Cutthroat catch of 15lbs and 1.6oz measuring in at 31" long. 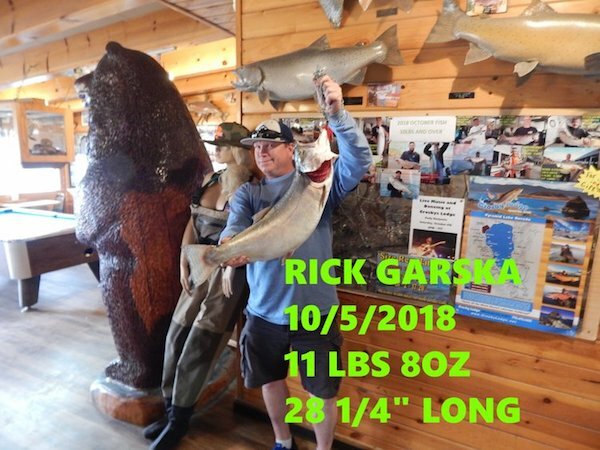 Rick Garska 11lb 8oz Cutthroat measured in at 28.25" long. 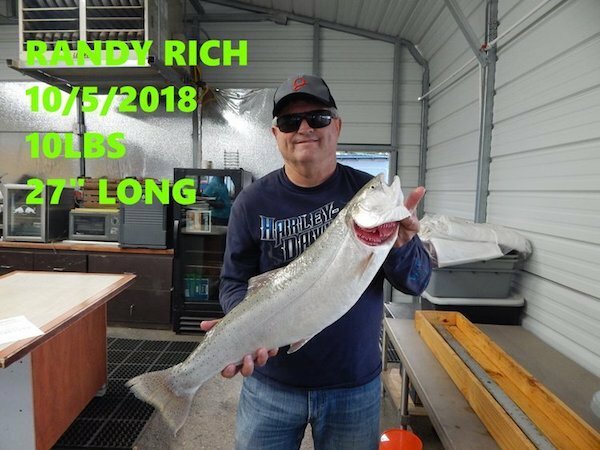 Randy Rich caught this 10lb 27" long Cutthroat. 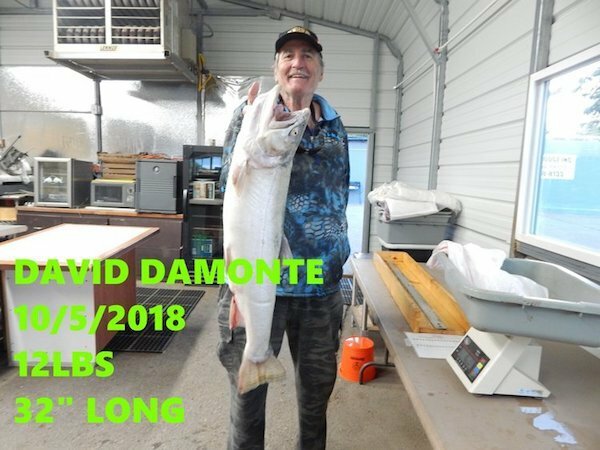 David Damonte 12lb Cutthroat catch measuring in at 32" long.